Crouch Sales has been distributing bolts, nuts, screws, anchors, socket products and servicing the fasteners, construction fasteners, and industrial supply needs of the Dallas-Ft. Worth area since 1966. Established by James W. Crouch, Crouch Sales began with a commitment to its customers of "Service first, Quality always" and Mr. Crouch designed our logo, “Mr. Service”. Today, 52 years later, Crouch Sales is still family owned and operated by the second generation of the Crouch family and still maintains the traditions that have established our reputation as the “mainstay” of fastener stores in Dallas and the Dallas/Fort Worth metroplex. To us, the statement to our customers "Service First, Quality Always" is not only our mission statement, but our way of doing business. Very often we hear customers tell us they were looking for a “hard to find” fastener and were asked “Have you tried Crouch?” Our Dallas, Texas, warehouse has over 12,000 square feet of a wide variety of fasteners and other industrial and construction products. In addition to our standard fasteners, we stock many hard to find and non-standard fasteners that can’t be found easily anywhere else. And, as always, we are dedicated to customer service. If we do not have what you are looking, we will try to direct you to a place you can find it. Please search this site for your fastener needs and that “hard to find” fastener. Select the product category on the left hand side of this site and click through the options. You are always welcome to give us a call for assistance Monday-Friday 7:00 a.m. to 4:00 p.m. CST. You can also CONTACT US through this site for assistance. All of our customers are special to us, and they consist of small companies, large companies, and individuals in a variety of construction, industrial, and other industries. Many of our customers use Purchase Orders and have maintained Credit Accounts with us for many years. Click here to download our Credit Application. What makes our company special is our Staff. Most of our Staff has been with Crouch for many years. Some of our Staff have made working with us at Crouch their own family tradition throughout the years by allowing us to employ their other family members. Our customers appreciate that we have a Sales Counter with a knowledgeable Sales Staff on site to assist them with over 100 years of combined experience and knowledge of the fastener industry. Many of our customers have established a longstanding working relationship with our Sales Staff and enjoy the comfort of dealing with a friendly and familiar person on a regular basis. All of our Sales Staff have knowledge of our fully stocked warehouse and can answer questions about our products and check stock immediately. The Sales Staff also makes sure your order is correctly pulled and complete. Our Sales Staff is on site (Monday-Friday 7:00 a.m. to 4:00 p.m. CST) and ready to assist you with Telephone Orders, Fax Orders, Walk-In Sales Orders, Online Orders or any combination of the above. Crouch Sales offers online and counter sales of bolts, nuts, screws, washers, anchors, socket products, drill bits, and other industrial fasteners and construction products needs of customers throughout the United States. Our local customers are across Texas including Dallas, Fort Worth, and Greater Dallas area including Addison, Allen, Aubrey, Balch Springs, Buckingham, Carrollton, Cedar Hill, Cockrell Hill, The Colony, Combine, Crandall, Dallas, DeSoto Duncanville, Ennis, Farmers Branch, Farmersville, Forney, Fort Worth, Frisco, Garland, Glenn Heights, Grand Prairie, Highland Park, Hutchins, Irving, Kleberg, Lancaster, Lawson, Lewisville, Little Elm, McKinney, Melissa, Mesquite, Midlothian, Ovilla, Plano, Princeton, Prosper, Red Oak, Richardson, Rockwall, Rowlett, Royce City, Seagoville, Sunnyvale, Terrell, University Park, Waxahachie, and Wylie. We have added a new Waco Texas Sales Office at 7215 Bosque Blvd., Suite 135, Waco, Texas 76710 to service the Waco and Central Texas area. 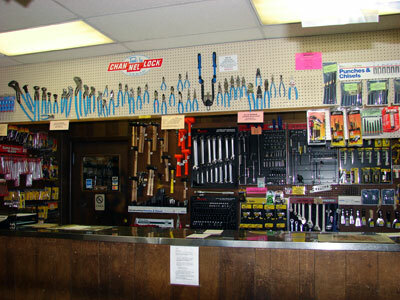 We hope you will give us the opportunity to serve you with all your fastener needs.